Newly formed British team, Gladiator, make their Audi MedCup TP52 debut in Marseille this week. 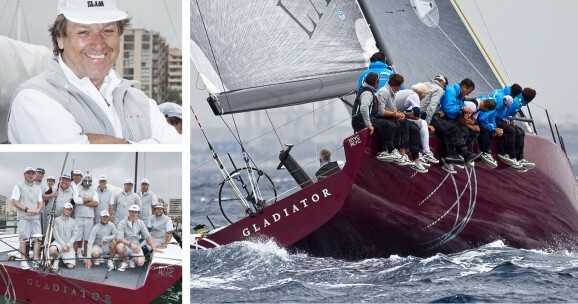 Owner Tony Langley's previous experience was with predecessor Weapon of Choice at the TP52 Class World Championships. Gladiator, the 2009 Vrolijk designed yacht was formerly known as Artemis. “We have some really good talent onboard and we are not aiming or expecting to come last. We feel that this event and the Worlds are quite different and we have learned a lot just being here early," said navigator Graham Sunderland (GBR). "We have lined up and have done well so far, we feel we are strong downwind and are really pleased with that and so we are just trying to work on the design elements of our boat relative to the new ones. The speed difference is not as bad as we thought. Our priority this week is boat handling, making sure we can get the boat around the corners. If we can do that, stay on the track and Chris Main our tactician can keep us in the right spot then we will have a good week."